The Altra Parsons Corner Desk allows you to optimize your workspace and that empty corner in your office or den with its convenient triangle shape. This Corner Desk has the classic parsons styling that includes a simple silhouette with clean lines. 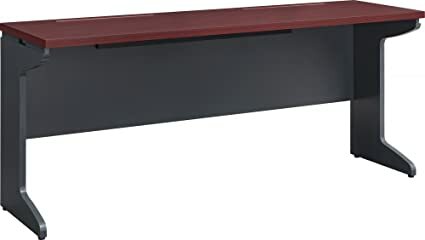 The Desk features a center storage drawer thats perfect for pens, paper, computer peripherals and other small office supplies. 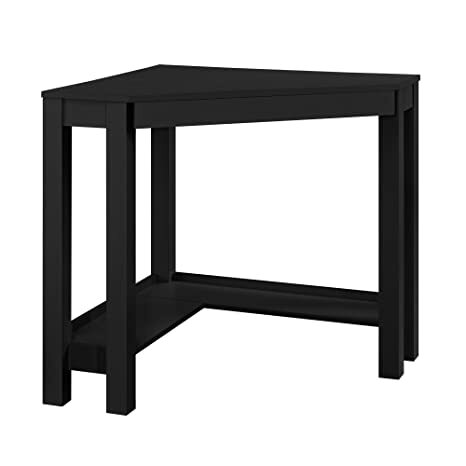 Altra Parsons Corner Desk requires minimal assembly upon delivery. The Ameriwood Home Pursuit Round Table Bundle combines 2 Pursuit peninsulas to create a small workspace in any room. Together, the bundle forms a round table, which can seat 4 people comfortably. 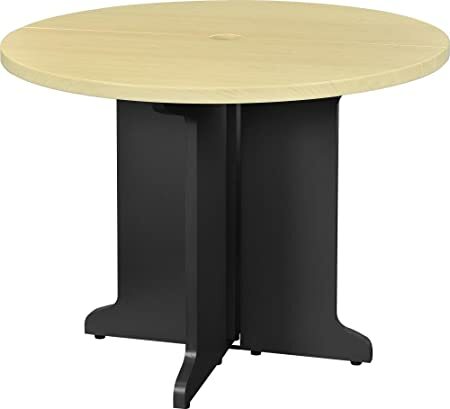 Whether you want a study area at home or a small meeting space at the office, the round table bundle forms a workstation wherever you need it. The round table also contains a wire management hold at the center to keep laptop cords and other electronic chargers out of sight. On top of functionality, the round table bundle also has a subtle but charming appearance. Curved lines, shaped legs and a contrasting gray and light brown finish give the structure a unique look thatll bring elegance to any space. The round table is made of water-resistant PVC with a laminated hollow core, and when assembled, it has dimensions of 29h x 39.13w x 39d. Add a workspace anywhere with the commercial grade Ameriwood Home Pursuit Credenza. Whether you need a desk in your home office or an extra workstation in your conference room, the credenzas minimalist design will fit effortlessly. It has a wide desktop, creating a larger work surface, slim shaped side panels for easy leg movement and a wire management trough and slots to keep cords organized. The subtle curves and beautiful cherry and gray finish also give the credenza a refined elegance thatll enhance the style of any room. When assembled, the credenza has dimensions of 29.5h x 66w x 19.5d. Its made of water-resistant PVC with a laminated hollow core for a durable build to last for years. 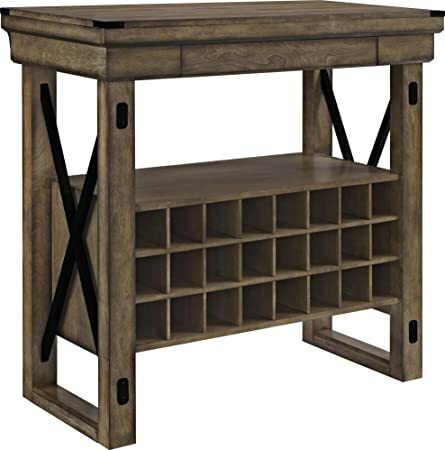 The Ameriwood Home Portland Pier TV Stand features a traditional, timeless look thatll fit beautifully into any decor style. 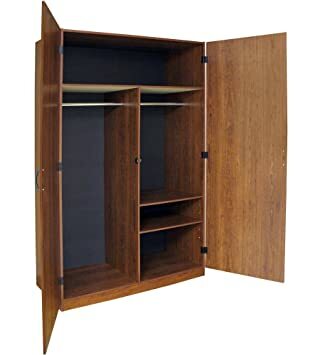 Its medium-brown finish, decorative rails and arched opening create an enchanting silhouette, and the 3 open shelves and 2 concealed shelves (1 adjustable, 1 fixed) behind cabinet doors offer plenty of storage for all your media components. With this stand in your living room, you can keep your media player, gaming console, movies, books and other accessories organized in one location. The TV stand supports flat-screen TVs up to 60 wide and 135 lbs. Its made with laminated MDF and particleboard and stands at approximately 22.94h x 59.75w x 19.75d. Two adults are recommended for proper assembly. There once was a very beautiful, but messy playroom. Until one day, a smart, brave mom came to the rescue with a fun castle storage system. 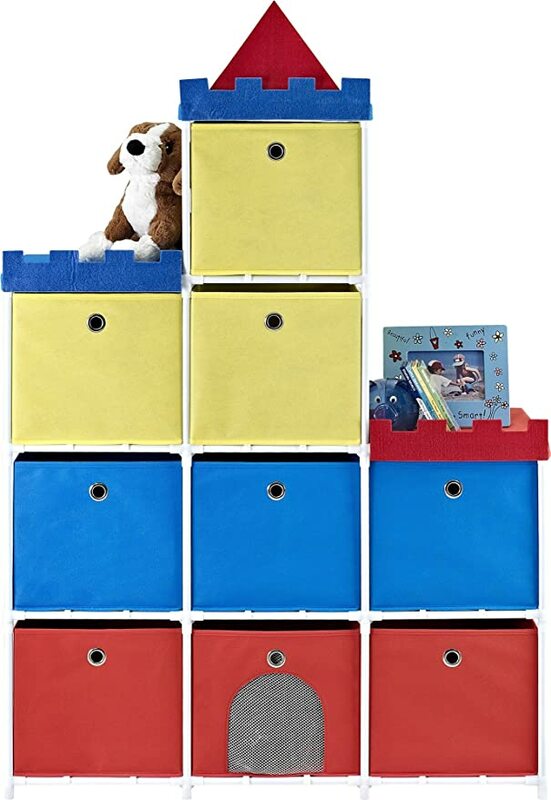 It offered nine brightly colored fabric bins with a dependable metal frame and everyone lived happily and neatly ever after. Happy hour can be enjoyed at home any day of the week with the Altra Wildwood Wood Veneer Bar Cabinet. The Rustic Gray finish and black metal side frames work together to create an elegant, yet casual style that is perfect for entertaining. This mini bar can hold 24 wine bottles and has an open shelf to store glassware, bottles or serving accessories. When guests are over and you need more serving space, simply pull out the extension leaves to expand the unit. From happy hours to cocktail parties, this Wildwood Bar Cabinet comes in handy for many different occasions. Bar Cabinet requires assembly upon delivery. Roll up a cart next to your workstation to provide just the right amount of extra storage space with the Altra Parsons wide storage cart. The storage cart is wide enough to provide storage for items like books, binders or even your printer. A pull out drawer also keeps your pens, pencils and notepads so your desk is kept tidy. This wide storage cart works perfectly next to the Altra Parsons desk with drawer (sold separately) for a complete set. Altra Parsons wide storage cart requires assembly upon delivery. Bring a unique twist to your living room with the Ameriwood Home Mercer TV Console with Multicolored Door Fronts. The eye-catching design of this TV Console features 4 doors that are each finished in a different woodgrain and color. The door fronts also feature 4 different knobs this are interchangeable for a one of a kind design. This TV Console accommodates up to a 60 flat screen TV with a maximum weight of 95 lbs. The concealed doors and open cubbies allow you to store all your entertainment components in one spot. 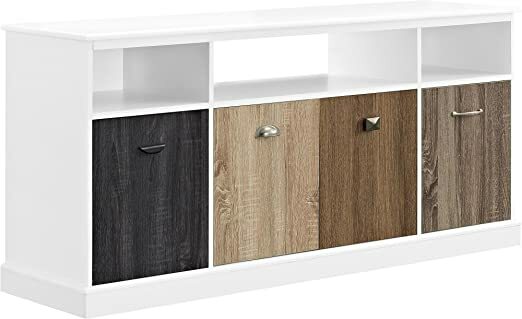 The classic white finish paired with the multicolored door fronts make this TV Console more than just a place to keep your belongings, its a conversation starter. This TV Stand requires two people for assembly and will measure to be 27.2″h x 60″w x 15.75″d. Add a more substantial, yet elegant, desk to your office with the Ameriwood Home Parsons Deluxe Desk. This Desk has the classic feel of a parsons desk, but with the added bonus of extra storage down the double pedestal sides. 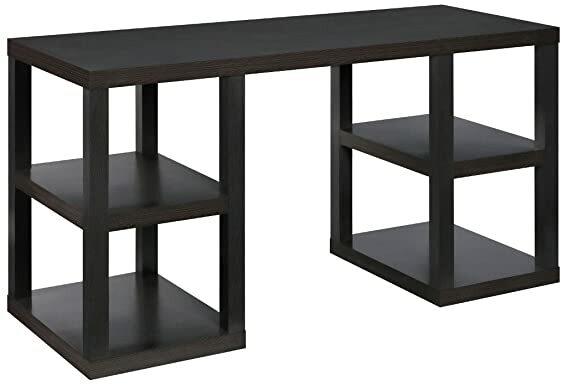 This Desk features 2 storage cubbies on each side of the Desk to hold all your office necessities such as books, binders and supplies. This desk measures at 32h x 60w x 21 5/8d, giving you plenty of space to stay organized while working from home. The espresso laminated hollow core and particleboard finish and modern concept will enhance your offices dcor. Ameriwood Home Parsons Deluxe Desk should be assembled by 2 adults. Ameriwood Home Oakridge 3 Drawer Media Dresser combines entertainment and storage into one beautiful bedroom piece. Dont place your TV on top of your dresser anymore. 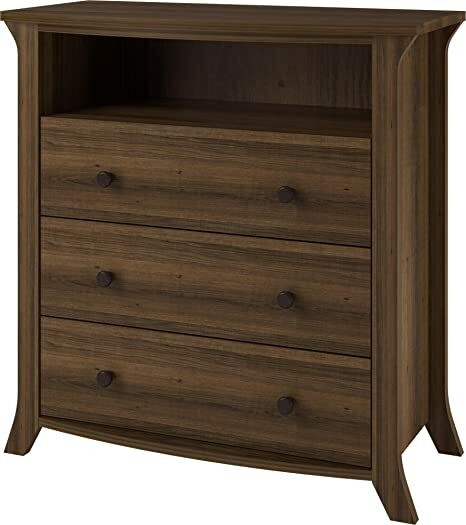 The Oakridge Media Dresser is designed to free up your dresser space and add even more storage to your bedroom. Media Stand accommodates up to a 32 flat screen TV. The top open shelf is large enough for your cable box or a gaming system. Three large drawers offer a generous amount of room for clothes or media, such as DVDs and CDs. Dressed in a weathered dark brown finish and accented with antique pewter knobs, this Media Dresser combines classic and modern design elements in one stately piece. The emulated oak finish offers a slightly rustic touch, great for bedrooms designed in a natural motif. Ameriwood Home Oakridge 3 Drawer Media Dresser requires assembly upon delivery. Maximize your space with the Ameriwood Home Princeton L-Shaped Desk so you can get more done. With a large desktop, you have plenty of room on which to place your laptop, desk lamp, books, documents, office supplies and keepsakes. The wire management grommet ensures cords stay tidy, organized and out of the way. With no obstructions, its easy to navigate from one side of the unit to the other so you can flow through your work smoothly. 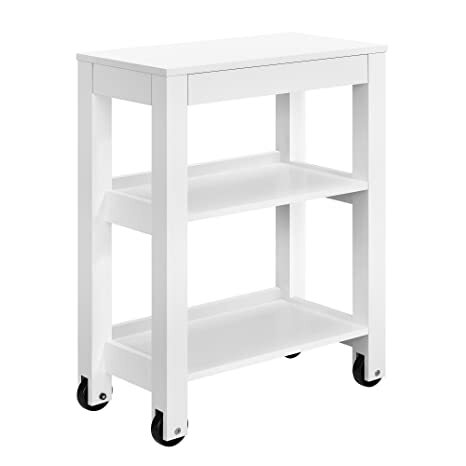 Thanks to the white finish, this unit can be used in virtually any office setting. Two people are required for proper assembly. 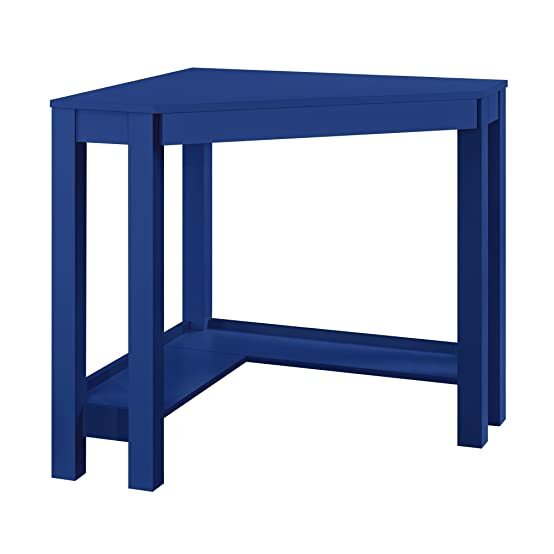 The assembled dimensions measure 29.2″h x 58.5″w x 58.5″d.